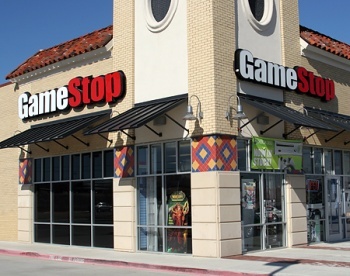 Despite all the recent talk about the end of the preowned games market as we know it, GameStop President Tony Bartel says Microsoft "realizes the value of the buy-sell-trade model" at retail. The truth is that right now, we really don't know how the Xbox One will handle preowned games. At the moment it appears that Microsoft will take a cut of all used game sales, which it will for some reason share with publishers; retailers may end up with less than ten percent of the purchase price. But this all comes from "sources" who, while presumably in the know, aren't quite the same as an official confirmation from Microsoft. Neither is this statement from Bartel, but at least it isn't anonymous and as the president of GameStop, it's a good bet that he has some level of insight into the situation above and beyond most of us. "Xbox has said that they do support the trade-in/resale of games at retail and that they want to handle communication from this point forward on that," he said during a recent financial call. "I think what is important to note is that all three of the consoles that have launched have now come back and they say, 'I realize the value of the buy-sell-trade model,' and they have built that into their new consoles moving forward. We anticipate that we are going to be able to leverage that, like we leverage it on the consoles today."